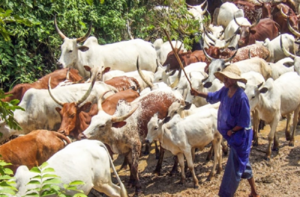 In response to the charge by Anglican bishops to President Muhammadu Buhari to declare herdsmen as terrorist group, the Miyetti Allah Cattle Breeders Association (MACBAN) has rejected being described as such. The national coordinator of the group, Garus Gololo revealed this on Tuesday in a chat with Vanguard saying, “We are not happy with this comment coming from the Bishops who are spiritual heads of the Anglican Church. We want them to withdraw it. “We are not criminals and the President has nothing to do with us. We are not terrorists; we are peacekeeping citizens. 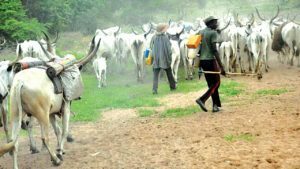 We have the right to graze anywhere in the world, not even in Nigeria because that is the business we came for. “So, if the Bishops ask the President to declare herdsmen as criminals, so every man they see rearing cow will be killed. It is very wrong. We are not happy with this comment and if they make comments as such next time, we will challenge it in the court,” Gololo said. Meanwhile, the bishops had blamed the Federal Government for embarking on a “selective prosecution” in its anti-corruption fight. The bishops made their observations clear in a communique at the occasion of the 4th synod of the Diocese of Western Izon (Anglican Communion) convened at St. Peter’s Church Bomadi, Delta State.